Data-logging is without question the fastest way to improve your driving. The reams of information these systems provide can help a driver evaluate his form and identify areas to improve. For racecar drivers, data-logging is as vital as stock reports are for investors. Data-logging systems come in many forms and on a number of platforms. Perhaps the most recognized is the PI system. PI is used from Go-Karts to IndyCar and is, in my opinion, the best out there (or at least the best I have worked with). There are many other options, including Traqmate and the MoTeC system, popular among amateur racers. But what does data-logging actually do? Data-logging allows you to visualize your driving. Through the many channels of data it collects, the system allows you to see — graphically — how much speed you carry into a bend, whether a change in technique on a particular lap helped or hindered, or if your throttle application is smooth and efficient. Most systems let you overlay multiple laps so you can distinguish between different cornering methods, car setups and the exact amount of time lost or gained. The system you use, and the amount of money you are willing to splurge for all the various sensors available, determines how many channels of information are available to you — from a simple speed-trace to damper travel, ride heights and even onboard video that syncs to the data. 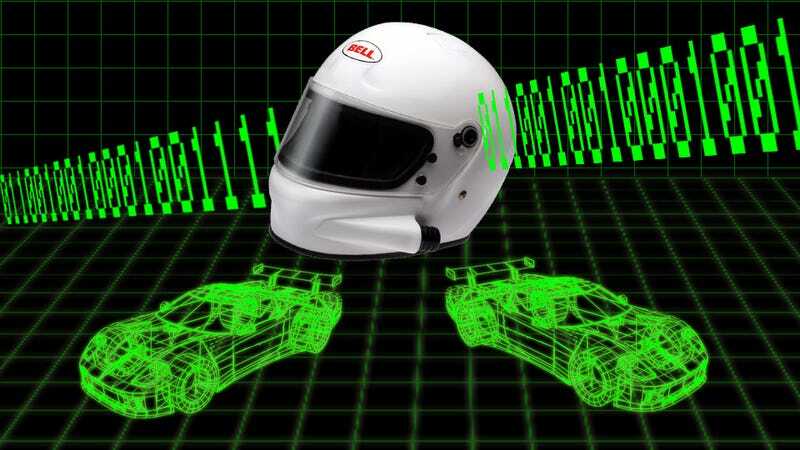 Obviously the more information you have, the better, but the most often used items are speed, RPM, steering, throttle and brake pressure traces, and the cumulative time (to see if you are faster or slower between laps). Having all these channels is awesome, but the benefit comes from how you read the data. Can you translate a data-rich graph into on-track gains? Honestly, some drivers can and others simply can't. A good driver will try various lines and techniques (remembering the lap in which they performed these acts) and look back over the data to analyze their results. And for an amateur, this is really all you can do. But the lucky few racers with teammates, or at the least another driver on the same data system who is willing to share information, can overlay their driving atop another racers'. Now you can see a whole new style in direct comparison — where you are stronger than they are and, more importantly, where they are stronger than you. Once you have that information, the key becomes finding out why they are stronger. Do they release the brake sooner and roll more speed to entry? Do they get back to power sooner or harder? Is their steering trace smoother and less aggressive? All this data gives you insights into why they are better at a particular section than you are. Zooming into the graph allows a detailed view of every millisecond, allowing you to achieve the most descriptive analysis of your own driving. You are seeing things no coach can see with their own eyes, making it far more valuable. Of course, sometimes you see another driver's data and say, "There is no way in hell I can do that!" Occasionally, the data presents a situation that is just impossible to replicate with your own car. If you have the ability to adjust your setup, now is the time to write down exactly how your car handles and behaves in that particular segment. Then write down what the other driver can do that you can't, for example, "He can get back onto the gas way earlier than I can due to the excessive understeer I am experiencing." If that is your biggest time loss on the track, then you know that is the area to focus on. How can I adjust my setup to eradicate some of the understeer? How can I modify my line/driving technique to reduce understeer as well? Some cars (like the Nissan GT-R) come with data-logging built in. If you aren't lucky enough to be related to Donald Trump then you probably can't afford to race a car such as this. So I strongly suggest that, if you are serious about racing, you purchase an add-on system. And if you can't do that either, many driving schools offer data acquisition as an option during sessions, where you can compare your laps to those of a professional instructor. That way, there is no guesswork as to where you lose time compared to others. It is right there in front of you. If you plan on attending such a school, make sure to ask if data-logging is a possibility. Data-logging allows you a glimpse into a world where the art of driving fast is broadcast onto a computer screen in an easy-to-read format. It turns driver "feel" into "science." So if you don't have the natural feel of how to drive fast, then invest in the data to point you in the right direction. You still have to be able to translate the data into real-life application, of course, but data-logging gives you an excellent opportunity to achieve this. After all, would you continue to invest in stocks blindly without seeing a full report?